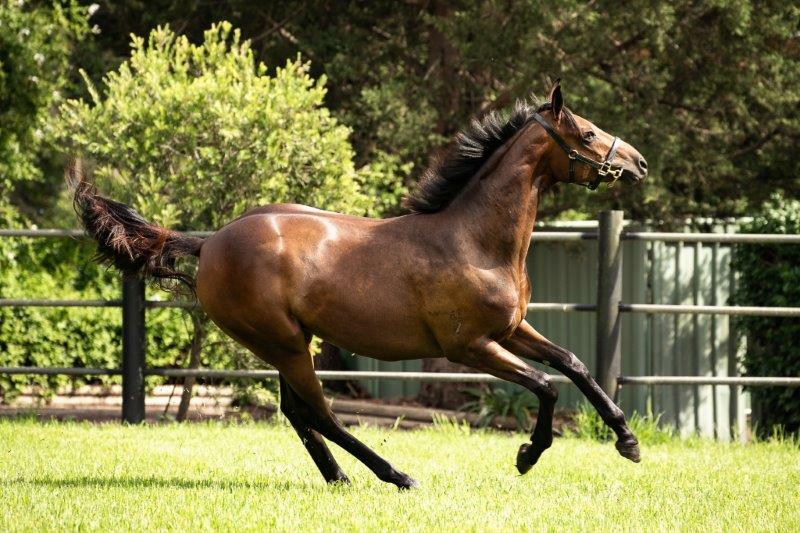 The historic Hunter Valley property WIDDEN STUD have announced their stallion roster for the 2019 season which is spearheaded by the exciting ZOUSTAR (by Northern Meteor) who will stand the 2019 breeding season for $154,000 ($140,000 + GST). In his first four (4) seasons at stud from 2014 to 2017 he stood at $44,000 ($40,000 + GST). He has now increased to $154,000 ($140,000 + GST) that’s a massive 255% jump from last season. This 255% service fee increase for Zoustar, who was Australia's Champion first season sire in 2017-18, comes after his three-year-olds dominated the Coolmore Stud Stakes (registered as Ascot Vale Stakes) (Gr 1, 1200m) in the spring, with SUNLIGHT leading home a trifecta with ZOUSAIN and LEAN MEAN MACHINE for the young stallion who is again poised to claim this year’s second season sire title. Sunlight who is trained by Tony McEvoy has also since won the Newmarket Handicap (Gr 1, 1200m) and the William Reid Stakes (Gr 1, 1200m) against the older sprinters, to lay claims to being the Champion Sprinter of the year and Champion 3yo. Zoustar is the sire of seven (7) individual stakes winners (six (6) in this racing season), including Sun City - this season's B J McLachlan 2YO Stakes Winner (Gr 3, 1200m) from two crops of racing age. Meanwhile, his yearlings sold up to $1 million and averaged $328,571 at last week's Inglis Australian Easter Yearling Sale. Widden's Antony Thompson said "Zoustar is the most exciting young stallion in the world and that demand has extended to the Northern Hemisphere where he is covering a full book of mares at Tweenhills Stud. To sire the 1-2-3 in a highly targeted Group One race like the Coolmore with his first crop speaks volumes of this young stallion's ability and future". "He's also enjoyed a phenomenal year in the sales ring with two yearlings fetching $1m or more. Given his strong shareholder support, nomination numbers are limited and we expect he'll be full within the next few days post the release of his service fee." Dynamic Syndications purchased 2 sensational ZOUSTAR fillies at the Magic Millions in January and we are thrilled with that decision based upon the incredible success Zoustar has achieved on the racetrack and in the salering since. The first of these fillies was from the Gr3 Winning / Gr1 Placed Danehill mare MOONFLUTE. Bred by Garry Harvey (who bought back into the filly to race with Team Dynamic), the filly was given to CIARON MAHER to be trained. She was SOLD OUT in 10 Days. Shares were priced at $12,885. She already has been registered and has the racing name ZOUFLU. The second filly was from Stakes Winning / Gr1 Placed mare MOON DE FRENCH (by Malibu Moon). Bred by industry leading thoroughbred nursery NEWGATE FARM, when Team Dynamic purchased their filly, they bought back into her to race with us. This filly has been given to Gai Waterhouse and Adrian Bott to train at Randwick. Moon De French is the Dam of 4 foals to race – all winners including handy Sydney mare Sangiovese. Moon De French won 4 races – 1 at 2 – from 1300m to 1700m including the Adoration Stakes LR at Del Mar and ran third to Champion mare ZENYATTA in the Oak Tree Lady’s Secret Stakes Gr1. Moon De French is a half-sister to Stakes Placed SPUN SILKY. Our Filly’s 2nd Dam FRENCH SILK is a half-sister to SW DEFUHR (dam of SW JULMAE). Our Filly’s 3rd Dam is SW DEFREEZE (4 wins). She is a sister to multiple Gr3 Winner FROST FREE. She is a half-sister to SP TIME IN COURT and to SP MINER CLASSIC (dam of Gr1 Winner CODIGO DE HONOR). Our ZOUSTAR x MOON DE FRENCH Filly is located on our Upcoming Syndications section of our website to be offered later in the year. 5% Shares are $12,885 inc GST and ALL COSTS to 30 June. If you would like to known more contact ADAM WATT at Dynamic Syndications on 02 9540 1511 or mobile 0409 464 378 and have a chat. Shares in this filly will fly out the door once we offer her to the market.